Sun Creek Ranches specializes in breeding registered Texas Longhorns, Elk, and Bison in Alberta, Canada. Our herd of registered Texas Longhorns boasts many animals with exceptional conformation, horn composite (base widths), tip to tip width, and total horn length. Sun Creek Ranches has produced several Grand Champion Texas Longhorns. Sun Creek Ranches prides itself on its superior Elk genetics and breeding program which result in exceptionally wide and heavy velvet, as well as high-scoring (400-500+) hard horn trophy bulls, and genetically optimal breeding cows that produce exceptional calves. 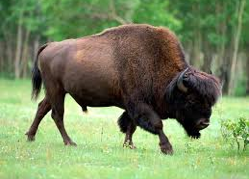 Sun Creek Ranches is also a proud producer of Bison or Buffalo, being mostly grass-fed, and has outstanding, healthy, young bulls and heifers for sale on a regular basis.